The new TRS ONE 2018 is here. 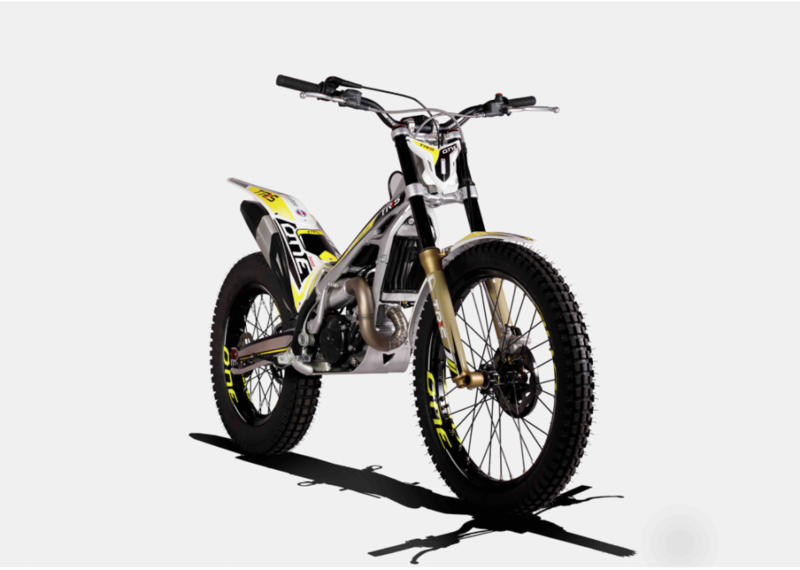 The model itself developed with the support of three second positions in the World Trial & X-Trial Championship, maintains the effective essence of its predecessor, complementing it with evolutions at all levels tested in high competition by the factory riders of TRS . The first units of the new ONE will be produced in the new facilities that TRS has built in Sant Pedor (Barcelona) and first deliveries will take place now in July. The new TRS ONE 2018 will be added to the catalogue together with the actual Raga Racing model as well as the new 125 One, 125 RR and X-Track 250 coming soon. High level tests over many months to improve toughness and precision on certain areas of the frame. The new setting offers a softer feel on compression and better control on rebound. Designed to increase strength and fuel capacity. Looking for perfection on each single finishing, the new guide provides better auto adjustment on the rear brake tube when tightening the chain with no scratches on the swing arm. 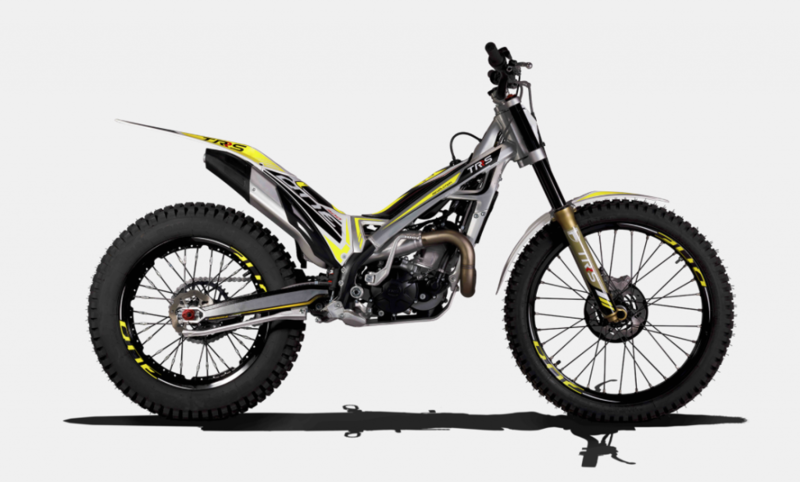 The new graphics keep the TRS One and it’s aluminum frame style, reaching at the same time a more racing look thanks to new graphics placed on the frame that also act as a frame protector. 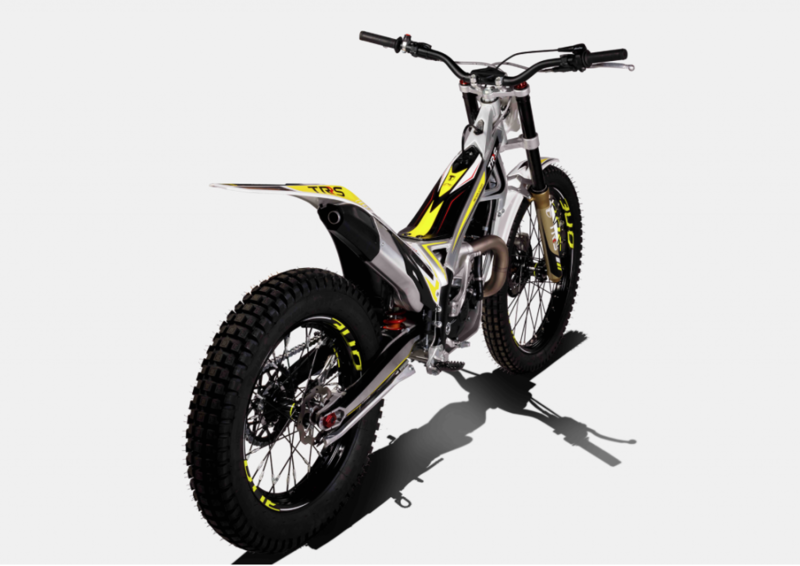 “The new ONE is the result of the huge and constant work by Jordi and his team at the races and at the R&D for more than a year, since first units of that ONE model came out from the production chain. We will keep the RR in catalogue until the month of December, and we will begin to deliver the first units of the new ONE that we are presenting now in July. I think many people – wait this evolution of the ONE considered by most of them more than enough for going TRIAL without the need of running a RR”.